Women who want curls also want the best curling wand there is and that means a hair curling tool that’s reliable, affordable and safe for the hair. We’ve researched the best curling wands and irons on the market to find the top five best curling tools to save you the time, effort, and cash. The choices for these curling tools were based on ratings from professional hairstylists as well as on curling wand reviews culled from Amazon. The criteria for these top five include performance, durability, affordability, compatibility with hair types, and technology used. If you’re a newbie, this simple but powerful curling iron with numerous convenient features could be the best curling iron for you. Silky smooth curls are easily created with its Pulse Technology’s patented Auto Heat Control that acts as a sensor to quickly regenerate heat for even distribution throughout your hair, making it suitable for all hair types. With eight feet of flexible swivel cord that allows you mobility even while your curl your hair, a quick heat up mechanism that you adjust to get the maximum temperature of 428°F in 60 seconds flat. Its rheostat control can even “memorize” your preferred heat setting. You have firm control of the soft textured grip handle while curling your hair. The cool tip is extra long to prevent accidental burning of fingers and/or hands while curling your hair. It has ten variable heat settings and separate switches for off and on functions and an extra-long area for thumb grip, this curling iron is capable of heavy duty performance. The 24K gold-plated barrel provides a smooth surface for wrapping your hair around. Its spring clamp is powerful enough to hold the thickest of hair in place yet will not leave crease lines or kinks. This curling iron’s foldaway stand ensures no scorching of counter or tabletops after tool usage. It also comes with two additional spare springs. In spite having four times the performance power of standard curling irons, the Hot Tools Professional 1181 Curling Iron has a price tag that you can easily afford. 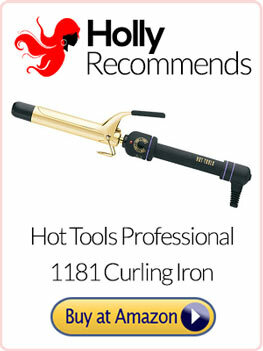 Find out everything you need to know about the Hot Tools curling iron in our review here. Remington’s pearl ceramic line of professional curling wands uses advanced technology using an infusion of crushed pearls in ceramic plates to create curls that are free from frizz and static. This pearl infusion gives your hair not only smoothness but shine as well by locking in your hair’s natural oils and moisture as you curl it. Suitable for all types of hair, the Remington ci9538 Professional Curling Wand has often been compared to Infiniti’s Professional Nano-Tourmaline Ceramic Curling Iron’s durability. With its quick heat up feature, enables you to achieve curls that are bouncy, defined, and natural-looking at temperatures up to 410°F. 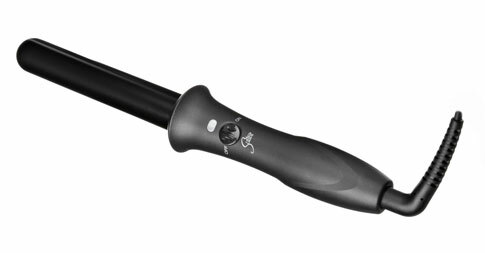 The pearl-infused ceramic plates of this Remington pearl ceramic wand distribute heat evenly throughout your hair to seal its cuticles while heat is applied when curling. This even heat distribution also assures you that all your curls are given the same amount of heat to hold them longer in shape and size. It comes with a convenient four year warranty and 20 soft-type rollers in two different sizes for when you want your curls to have various looks. Its digital display tells you the curling wand’s temperature as you curl your hair so you can adjust it according to your preference. With its automatic shut off function, you never have to worry about potential fire hazards. The Remington ci9538 Professional Curling Wand comes with a heat-resistant glove to protect your fingers and hands while you curl your hair. This curling iron is available at a great price from Amazon, making the Remington Pearl an absolute steal. For even more information on the Pearl, including all the features and benefits, read our full review here. The Bombshell may be just an inch but it can let you create beautiful curls and waves in practically half the time that you would spend doing so with other curling tools. Suitable for all hair types, its innovative ThermaTru Ceramic Technology protects hair cuticles and locks in moisture to protective your hair from damage caused by excessive heat. This clampless and clipless curling iron is a hair curler classic that has a sleek rod barrel that provides even and constant heat up to 360°F that’s essential for curls or waves without creases lines or kinks. Curls or waves produced by The Bombshell are long-lasting with a lot of volume. The Bombshell mends and repairs any damage in your hair with far-infrared Japanese Kyocera Ceramic Technology. Lightweight, heat resistant, and durable, The Bombshell has dual voltage built to international electrical standards that you can take with you when you travel. Its automatic shut off mechanism is a safety precaution that guarantees no mishap can occur after its usage. With The Bombshell, the quick heat up feature saves you time in curling your hair while creating shiny, static- and frizz-free curls. Its tangle free, nine foot swivel cord gives you mobility when your curl your hair. And if all of these weren’t enough, it also comes with a two year warranty as well as a complimentary heat-resistant styling glove and an iron pad for your safety when you curl your hair. Read some of the incredible reviews on Amazon and see why everyone simply loves The Bombshell or read our in-depth review here. Whatever your hair type is, the Bed Head Deep Waver lets you create waves that are distinctively attractive. This easy to use curling iron measures only ¾ inch but gives you excellent waves that are frizz- and static-free and last all day and all night. Its tourmaline ceramic technology provides even heat distribution that penetrates your hair from inside out to retain its natural oils and moisture. It has Deep Waving plates to ensure that your hair gets maximum heat for each curl. With its multiple heat settings, you decide how much heat you need for the kind of curls you want. The Deep Waver’s tourmaline ceramic-coated barrel provides you with gentle but consistent heat while you curl your hair into silk smooth waves without damage to it. With a flexible power cord for added mobility when you curl your hair, the Deep Waver has a unique barrel design that features a locking switch for easy and convenient storage after use. While the Deep Waver can be used for curling all hair types, it’s especially suitable for those who want loose, flowing locks that look natural and feel soft. 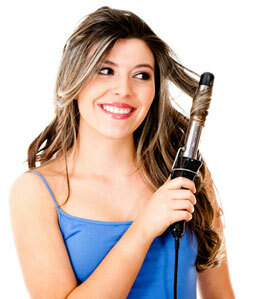 You can use it everyday and it won’t undergo wear and tear as easily as other curling irons might after prolonged use. The Deep Waver’s solid construction speaks visibly of its durability against any denting, breaking or even bending. It doesn’t hurt either that for all these excellent features, the Deep Waver’s price tag is very affordable. Find out more in our full review. The Sedu Revolution Clipless Curling Iron was one of the items in the gift bags at the 2013 Oscar Awards. That tells you right away about the top rated quality of the Sedu Revolution Clipless. Its Dynamic Alignment System generates additional negative ions and gentler far-infrared temperature to curl your hair without the frizz or the static. Its barrel’s exclusive ultra polish creates the smoothest curls that hold considerably longer. The Sedu Revolution Clipless is suitable for all hair types and capable of creating various kinds of curls. With an adjustable digital control up to 350°F, the Sedu Revolution Clipless has settings for fine hair at low, thick hair at medium, and coarse or unmanageable hair at high. Its unique ceramic technology has a quick heat up feature as well as temperature consistency while being used. 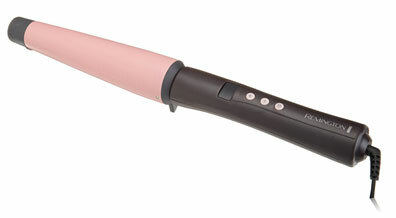 The Sedu Revolution Clipless won’t leave indentions or crease lines on your hair, unlike other curling irons or wands. Unlike other clipless and clampless curling irons with tapered barrels, the Sedu Revolution Clipless has a straight barrel that creates more natural-looking waves. Thermal images of the Sedu Revolution Clipless have shown how it delivers consistent heat along its barrel’s length. With an automatic shut off feature and a heat-resistant grip handle, The Sedu Revolution comes with a protective kickstand for the curling iron to rest on counter- and tabletops and a protective glove that’s heat resistant. Available as a 1 inch curling iron, it also comes in sizes of ¾ inch and 1.5 inches. Read about the pros and cons of this Sedu curling iron in our in-depth review or visit Amazon to get the best available price.